Navigate through the appropriate left side menu to find the food you are looking for. 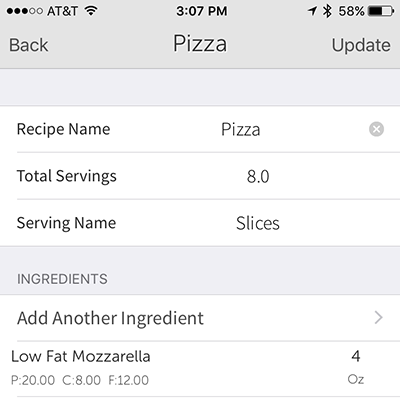 Tap on the serving size in order to change the amount you are tracking. 5. 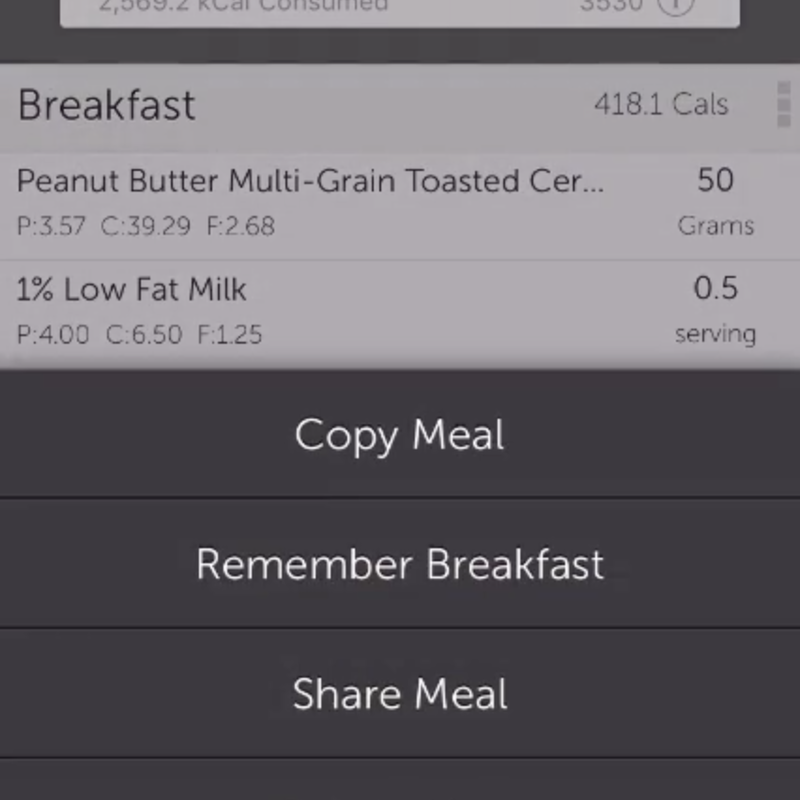 Tap on the meal name in order to change the meal that it is being added too. Tap the settings button on the top right corner of the daily meals page. 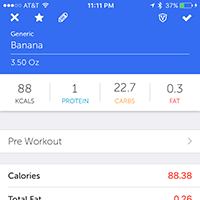 From there, go to the App Settings page and then into the Set Nutritional Goals settings page. From there you will see a button to Add New Macro Goal. Tapping that brings you to where you can enter your goals, in grams, for Protein Carbs and Fat. 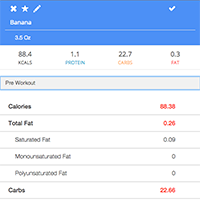 Based off of your inputs, My Macros+ will calculate your calorie goals for you. 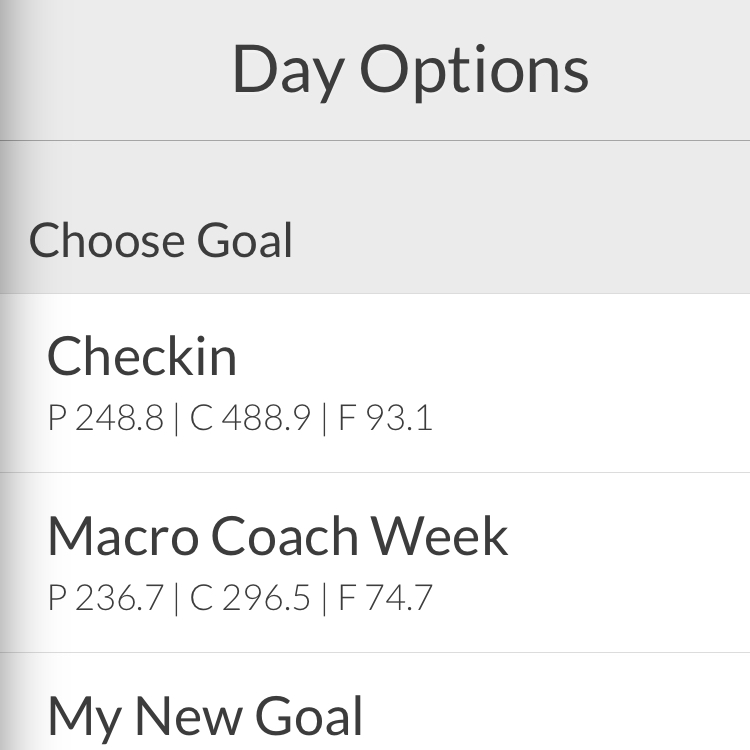 Tap save in order to create the new macro goal and apply it if you wish. From there, go to the Day Options page. There you will see all of your previously created macro goals. 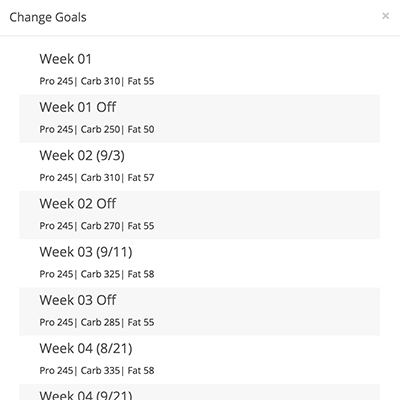 Tap the one that you want to apply and it will now be your macro goal from that day forward until you change it again. Navigate to the meal that you wish to copy. 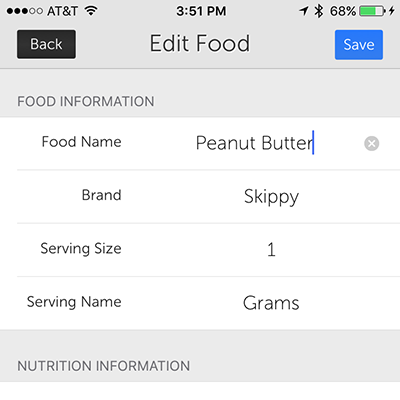 Tap on the right side of the meals name in your daily meals log page to present the meal options. On this first page you can tap to choose any foods that you don’t want to copy over. 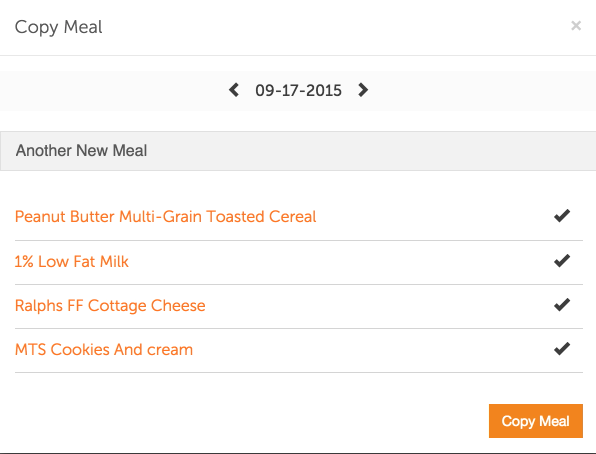 Change the date on the bottom of the screen to select the date that you wish to copy this meal too. Tap the next button on the top right corner when you are ready to proceed to select your meal. Tap on the meal that you wish to copy to. When you return to the daily meals log you will still be on the date of the old meal so make sure you change back to the date you copied too. 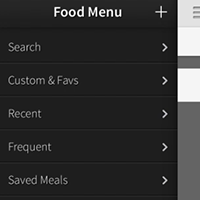 Tap the 3 dotted icon on the right side of the meal name that you wish to copy to display the meal options menu. Select the correct meal that you wish to copy the meal too from the drop down menu. 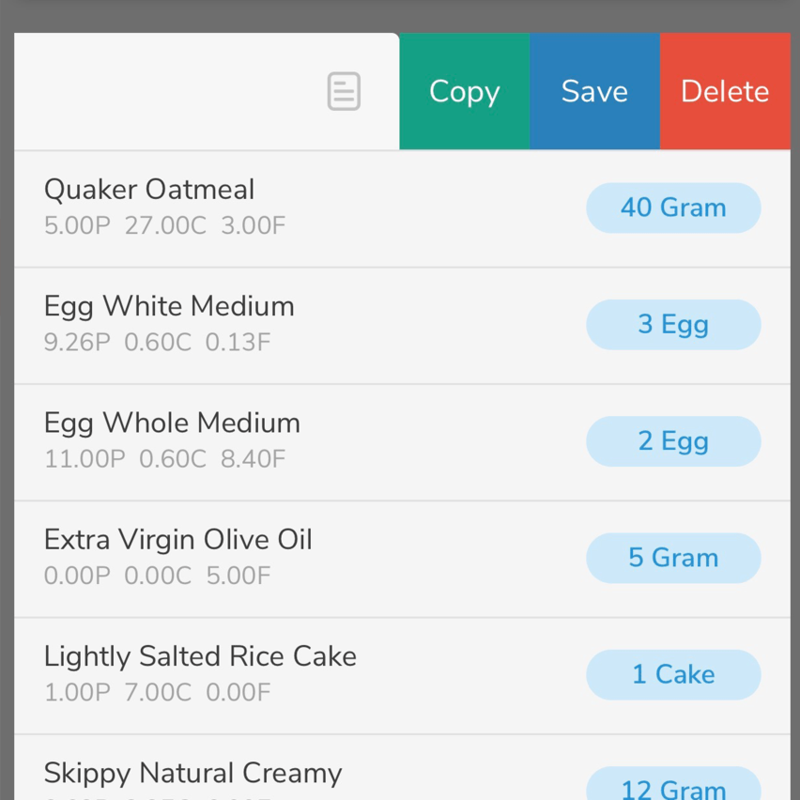 Tap and hold on the name of the meal that you wish to copy to bring up the meal options menu. 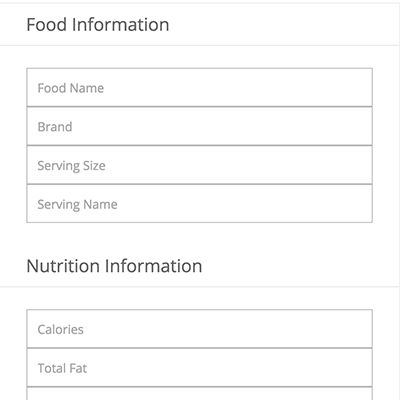 Enter the food and nutrition information directly as you see it on the nutrition label. Navigate to the food item that you are searching for.